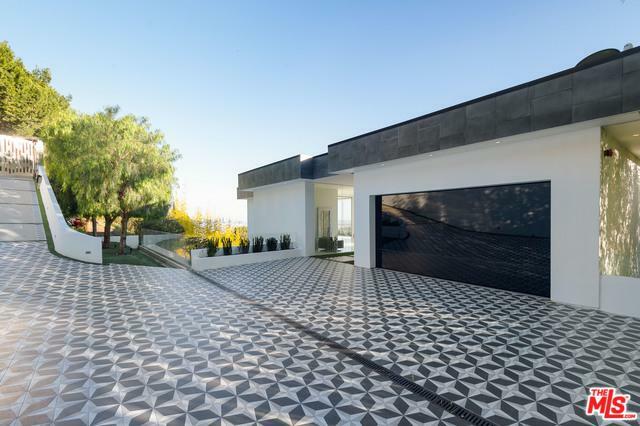 Sited down a gated long driveway, this exceptional architectural home has been designed to capture stunning views of the canyon and the city from Downtown LA, to Palos Verdes and Catalina.The motor court leads to the entry bridge with a cascading wall of water. 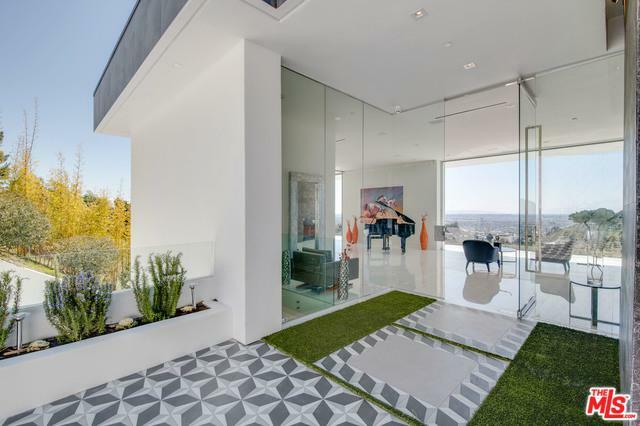 Glass front doors open to the main living area with polished white stone floors and vanishing walls of glass.The home flows beautifully on 3 levels allowing for the seamless transition between the indoors & outside. The first level features a lounge area and a bedroom suite. 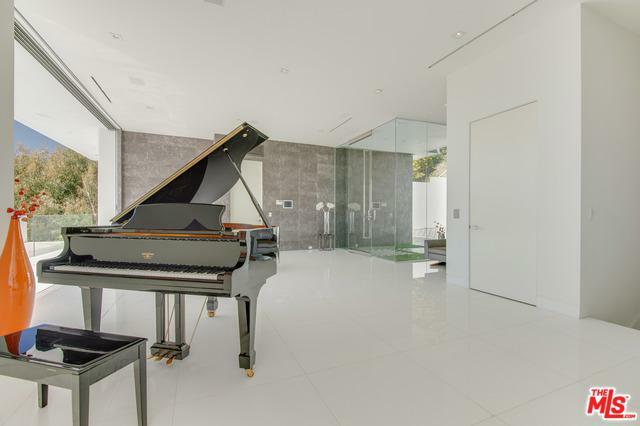 A floating staircase leads the 2nd level including an open chef's kitchen w Miele appliances and custom European cabinetry, areas for both indoor and outdoor dining, and a separate guest suite. Two additional bedrooms including superbly appointed master on lower level which opens to overlook the infinity style pool with swim up bar. Patios and lounging areas with fireplace further capture awe-inspiring vistas to complete this very special offering. Listing provided courtesy of Aileen Comora of The Agency.